While it is true that answering paid surveys can be a great way to augment your income, it can be quite complicated to point out which sites are scams and which ones are legit. There’s no particular order, if you have enough time on hand, I’d encourage you to sign up for as many sites as possible. The competition is tough and you’ll have to apply for most of the surveys and you may not get approved for all of them. So have your options wide open. Also, at the same time, keep in mind answering surveys can’t make you rich, not even in 20 years. They are just a way to earn 5 – 10 bucks a day, not more than that. So have your expectation close to the reality. Do remember though that earning money by answering a survey is more like a minimum wage job. So this can’t be a replacement for your day job. Rather, during off hours, if it’s at all possible to spend some time alone, you would make the best use of the time by participating in these surveys. Competition is tough, there are multiple individuals trying to compete for a survey, so it boils down to grabbing the offers before anyone else does. So, as many offers you have, the better you are. sign-up for all the survey sites, I listed the links as well, to get maximum offers coming your way. This site has been in the business for a long time. They offer a starter bonus which is provided just for signing up on their site. Once you register, there are different ways to make money on the site. You can sign up for offers, take surveys or get rewarded for making referrals. Inbox Dollars not only pays you to answer a survey, but it does pay when you view an advertisement, play a game and browse partner offers. Also, you’ll get a $5 signup bonus after signing up. You can request for a cheque once you accumulated a balance of $30. At first, it will take 2 months to get the first check but after that, it’s easier and faster. The cheque is mailed to the participant’s home address. Join Inbox Dollars today! If you want to become a voice of the consumer, GrabPoints makes you simplest for you. Grab offers from their app, use your phone to complete a survey which will grab points for you. At the end of the day grab a gift card from the points you earned. It’s that simple. Because it’s so technology savvy, we rank this company at the top. At the end of the day grab a gift card from the points you earned. It’s that simple. Because it’s so technology savvy, we rank this company at the top. This is my favorite site. Swagbucks is most reputed and has the maximum user base. Naturally, most businesses come to Swagbucks with their survey needs. you’ll never have a dearth of surveys here. What is most sweet is that you get paid even for browsing the internet, going to their partner sites, for playing specific video games and watching commercials. Swagbucks offers gift cards in exchange of accumulated Swagbucks (SB’s). They offer even $5 sign up bonus for first email sign-ups. Join Swagbucks today. This site offers their participants with free sign up as they join their online community. It is renowned for being a credible and professional site. The mission here is to administer research through surveys and in turn, participants are paid for their insight, experience as well as expertise. Indeed, the site is established similar to a community that offers a lot of content that is quite easy to use. The concept behind surveys is to aid businesses to become more creative and gain real success as they carry out their pursuits. Participants get paid to share their opinion with businesses and businesses can develop better services as well as products hinged on the information they receive. Join Pro Opinion today! I love this panel. It can be time-consuming but I am now in a great routine and it is easy. Our family has come up with a system to keep us on track. I get lots of opportunities to complete surveys for extra points. I love this opportunity! Once you signup, they will send you a scanner to scan your purchases. You’ll then get survey opportunities based on your scan history. This is a legitimate business, which is run by a joint venture between AC Neilson and IRI. Some consumer did report slow place of point accumulation and limited options to redeem your earned points. But overall, I am satisfied with my earnings. Join NCP today. This site comes with countless of various prizes and rewards for their participants. For every completed survey, the participant obtains a predetermined number of points. At the time they gather points, they can redeem for cash or trade for items such as gift cards from famous sites like iTunes and Amazon. Indeed, points can be redeemed for cash and you will be paid via PayPal. Join Opinion Outpost today! This is another Neilson company, so this is legit and you should expect total transparency in reporting. Harris Poll online doesn’t let you encash your earned points, but you can buy a gift card with your accumulated points. You can get a $10 gift card with 1250 points. You can get any gift card you wish from Harris Poll. Point accumulation is a bit slow compared to other survey sites, as you get no more than 10 survey invitation in a month. Still, in combination with other surveys, Harris Poll present offers some handsome change every month. Even if you do not qualify for a survey, you can still earn points for expression of interest. There are a number of countries from which you can register for Harris Poll. Join Harris Poll Online today! This site is there for a not very long time but within a short time, this has become one of the most well-known paying sites that offer countless of ways for participants to earn from online surveys. It offers free sign up. You can take mobile surveys, online surveys or if you prefer you may use a browser add-on in order to earn while surfing the net. The site’s minimum balance is set at fifty dollars. Join Survey Spot today! 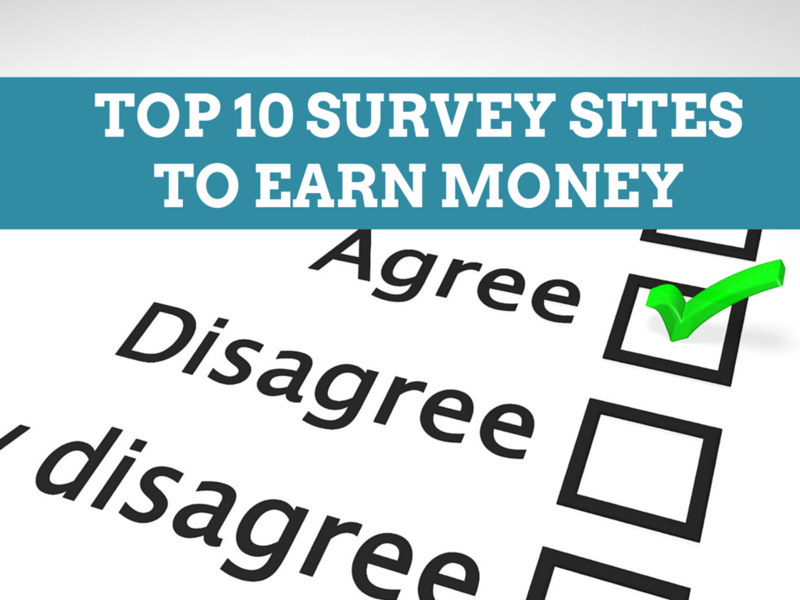 This site is known as one of the most trusted legit paid survey sites these days. After signing up, participants become a panelist that offers their insight in exchange of points. After the participant has gathered points, they can trade for items in the site’s rewards catalog. Such items consist of various diners, Macy’s, Amazon or you may also redeem for cash which is paid via PayPal. Join My Survey today! This site can be accessed using a mobile device or a personal computer. It runs by obtaining feedback from customers. Just by signing up on the site, you can acquire an easy $5. Moreover, the site offers many forms of rewards in return for sharing your insight. Through completing surveys, you are rewarded with points and these can be exchanged for various rewards from magazine subscriptions to cash paid or gift cards via PayPal. Points need to be collected to a preset minimum prior the redemption button is activated. Join iPoll today! This site values the opinion of the user on diverse topics. Signing up is free and members are rewarded with points as they complete surveys. This is an approach to inform firms what consumers prefer or do not prefer about their services and products. Points can be redeemed for e-cards or gift certificates. On the other hand, the minimum payout is lower as compared to most sites since it is set at only twenty dollars. ‘Valued opinion’ only allows users from USA, Canada, and Greece to take part in the surveys and earn money. Join Valued Opinions today! 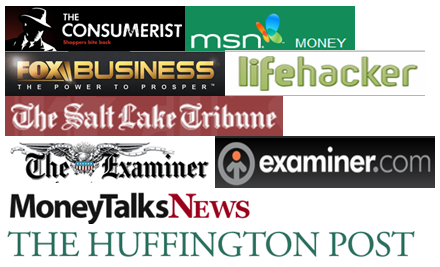 Readers, share your experience with these survey sites. Thanks for sharing these! I only heard about SwagBucks and I earned money from it. in fact all of these are useful, they’ll surely pay you. The differentiating factors are no. of opportunities and average payment per survey. Interesting. I have been looking for more opportunities like this to earn income. Thanks for the tips! I used to do surveys with e-rewards for airline miles, and they were good because once you started a survey, even if you were not selected to continue to the end, you would still get $0.25. Do any of these operate in a similar way? The downside was that with e-rewards, you could not redeem for cash, only for points/miles. Hi! I stumbled upon your site while I’m looking for information about a site called iglobalsurveys.com. I really find your site very helpful for someone like me who is looking for legitimate survey websites. i was hoping that you can give me an idea on this website I have mentioned. Have you heard about this? Is this legit? Just want to make sure before I join their website. thank you for reading my email and I will be waiting for any information you can provide me. Thanks! Swagbucks site is great! I didnt know that something like that exist! Thank U! I used Slesingers for a local mock jury trial and was paid $450.00. So some of these offers are very good. U just have to stick with with the right ones an keep pre qualifying. hi Tonya…that is very good way to earn real money…how does exactly did u do it? I’m very interested…Thank you. Hey useful blog, I’m out of the us and they don’t seem to be working for me, why?..